It's Hip 2 Serve! 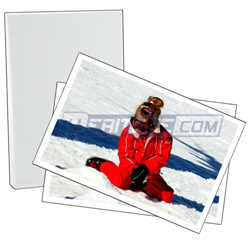 : 25 Sheets of 4x6 Photo Paper for only $1.59 Shipped!! 25 Sheets of 4x6 Photo Paper for only $1.59 Shipped!! Hurry to snag this great deal...For a limited time, you can order 25 sheets of 4x6 generic photo paper for only $1.59 with FREE shipping!! Click here to place your order (you will need to select the photo paper priced at $2.99 and then be sure to enter coupon code mlc175087b). You can also snag a LED Color-changing Simulation Candle Light (be sure to use coupon code MLC40000370P to get 70% off) for only $1.19 with FREE shipping. FREE subscription to Motor Trend Magazine! Internet has been down since 2AM! TEVA Kids' Flip Flops $4.93 -$5.93!! USAA & U-Turn's Garage Band Playoff 2009!! Check out these Amazon deals!! Commissary Deals: June 18th through July 8th!! Win a $50 Red Plum Gift Card! Hurry & Print these Awesome Coupons! Weekly Specials at AAFES.com through June 22nd! Write Hunting Essay and Win Big Game Hunt! Join Kraft First Taste for FREE...Sign up Now! FREE Online Library thru Military OneSource! FREE Family Event at Michaels: Get Hooked on Dad! Scan your Groceries/Purchases and Earn Prizes! A Cup of Joe for a Joe (or Jane)! Take the Family to a National Park for Free! FREE Family Event at Michaels Today! FREE Donuts Today and FREE Ice Cream Tomorrow! Commissary Deals: June 4th-June 17th! Shutterfly-25 FREE 4x6 Prints for New Members! FREE Subscription to Military Money Magazine! For the Troops II-14 FREE Music Downloads!! Springtime is Grilltime at the Commissary!! Military Spouse Seminar in Fort Bliss, Texas! Nominate the Next Military Family of the Year! CVS Photo Center-50 FREE prints!! Military Spouse Magazine-only $1.66 per issue!! Old Navy 10% Military Discount Today! !